3dRose db_81490_3 France, Paris. Notre Dame Cathedral, Gargoyle-Eu09 Dbn0824-David Barnes-Mini Notepad, 4 by 4"
France, Paris. 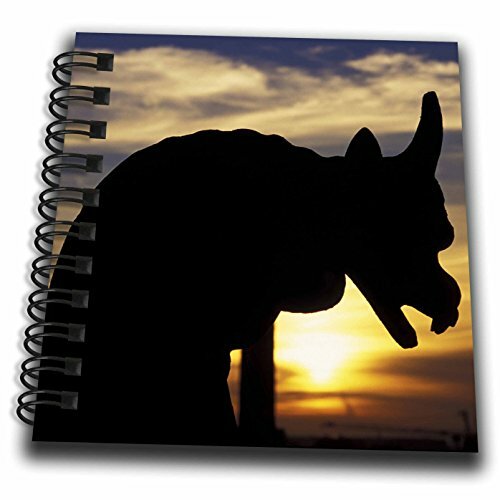 Notre Dame Cathedral, gargoyle - EU09 DBN0824 - David Barnes drawing book is a great way to start sketching, drawing, designing, scrapbooking, or just jotting down your thoughts. This unique spiral bound hard covered book includes acid free bright white paper and features twin loop wire spring binding. Our memory and drawing books are a great alternative to the standard photo album or notebook. While our mini notepad is a great size for keeping in your purse, car, briefcase or on the go. Perfect for use with crayons, markers, paints, pastels, stickers, pencils and pens. Great as a gift for any occasion. Enjoyed by all ages.